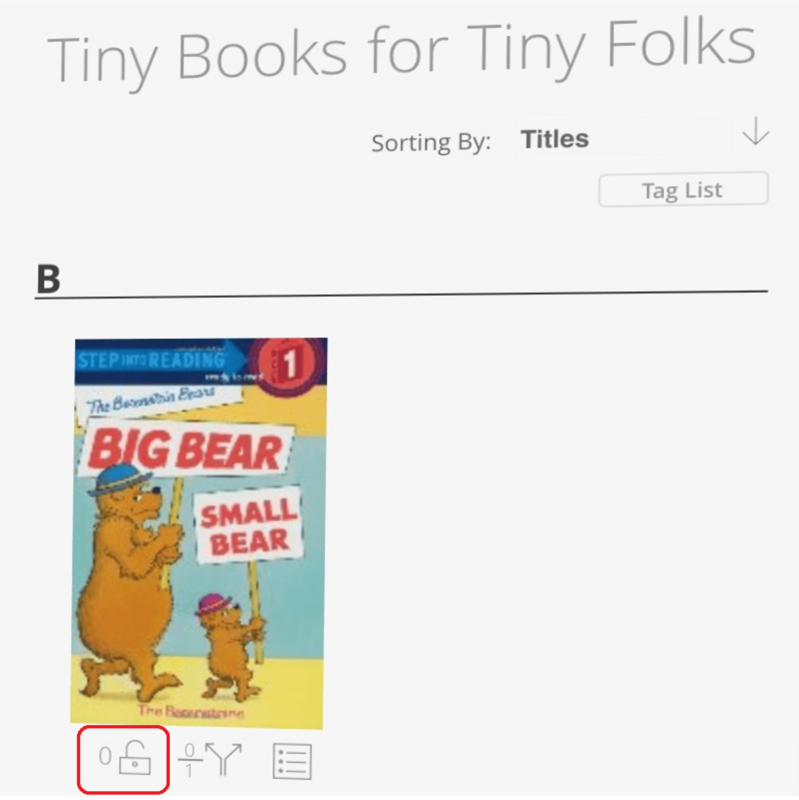 Go to the Tiny Books library to select your books. 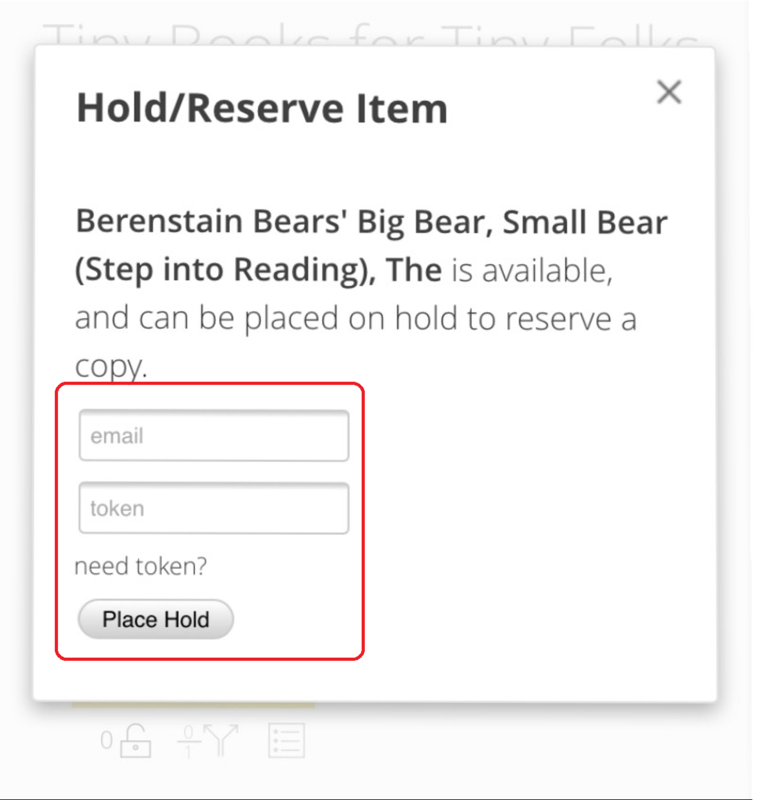 In the library, click on the lock icon below the book you would like to reserve. 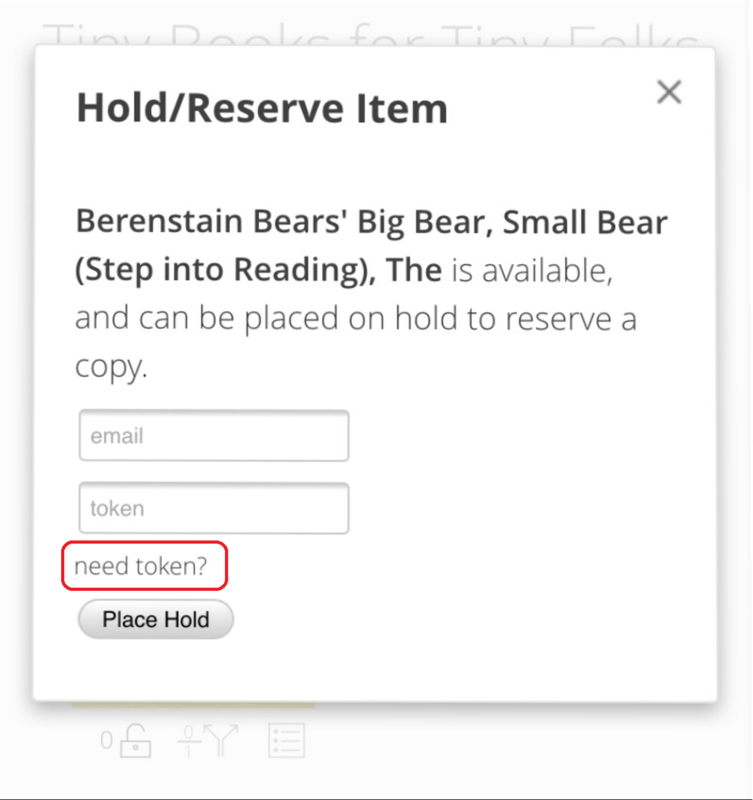 Select the “need token?” wording when the “Hold/Reserve item” window opens. 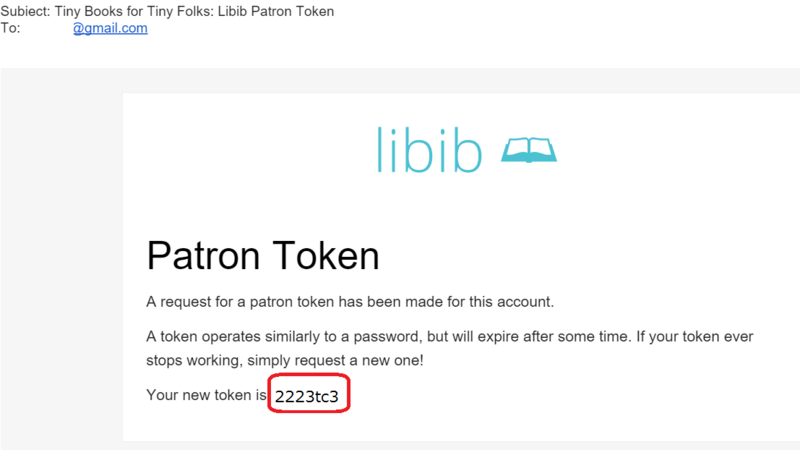 Key in the email address that was registered for borrowing and select Email Token to receive the token in your mailbox. Check your email inbox for the token. 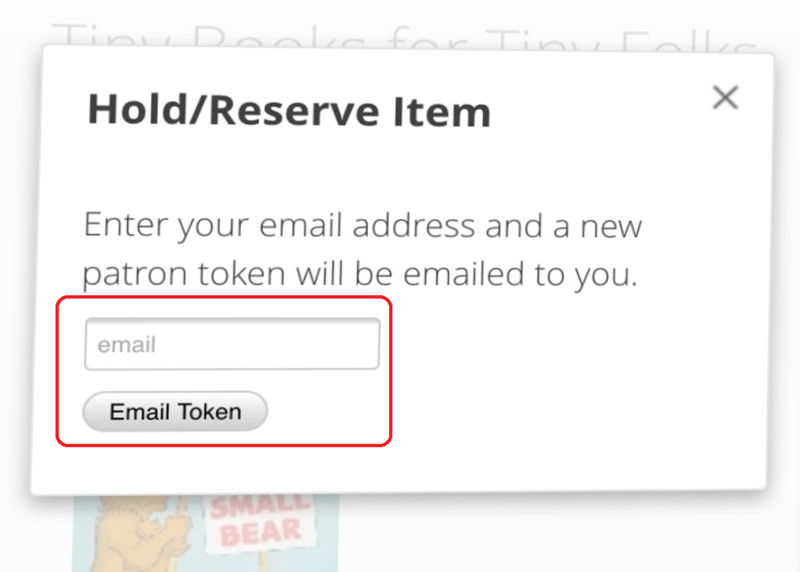 Back in the “Hold/Reserve Item” window, key in your email address and the token to place a hold on the book. 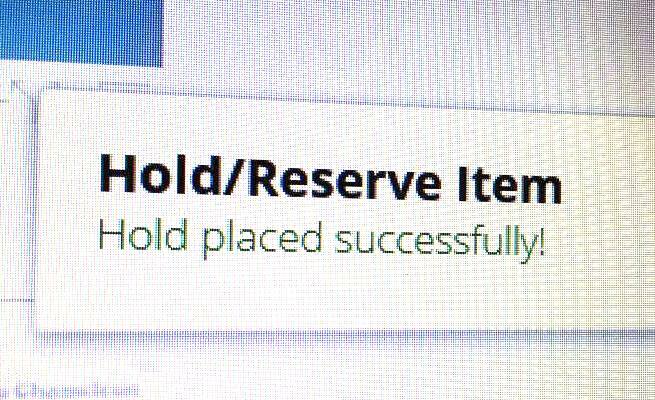 A confirmation message will display on the website to show that you have successfully reserved the item.